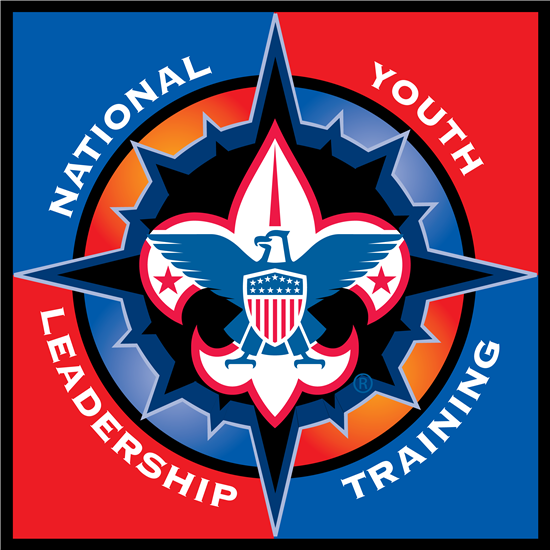 National Youth Leadership Training is an intensive week long Leadership Training Course for Scouts BSA, Venturers, and Explorers who are 14 or 13 years of age or older and have completed 8th Grade by the time of course. Plus have 1st Class rank and above, and completed introduction to Leadership Skills for Troop/Crews and has been pre-approved by their Unit Leader. National Youth Leadership Training is a life changing experience for many. While participants will be equipped to provide enthusiastic, and competent leadership for their Troop, or Crew in the context of the Patrol Method, they will also gain leadership skills and experiences which will prove valuable throughout the rest of their lives. National Youth Leadership Training is set up to represent the life of a Scout Troop in a one month time period. The first three days of the course represent the first three weeks in a Troop’s calendar, where the Troop plans for a big event. Patrols later use their skills and knowledge at a camp outpost towards the end of the week. National Youth Leadership Training is used to improve leadership skills and knowledge that Scouts can take home to improve their Troops. This is a Leadership Training Course, NOT a Skills Instruction Course! Held at the Bay-Lakes Council's beautiful Camp Hiawatha, situated deep in the Hiawatha National Forest of Michigan's Upper Peninsula, participants will enjoy an intensive leadership experience where the natural beauty of the Camp, and the NYLT syllabus will make the Scout Handbook come to life.